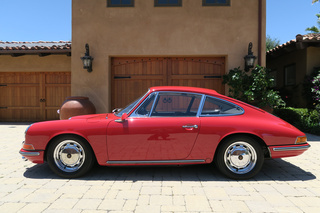 For the first seventeen years of its life, Porsche built just one road car, and that was the 356. 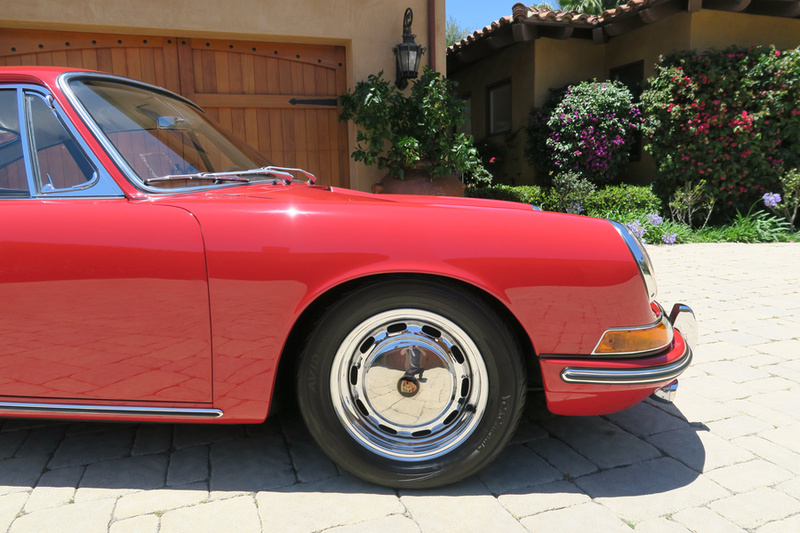 You could choose different body styles, colors and a few engines, but the 356 was it. By the early 1960s, the car was becoming rather antiquated and the pushrod four was at the end of its development life. 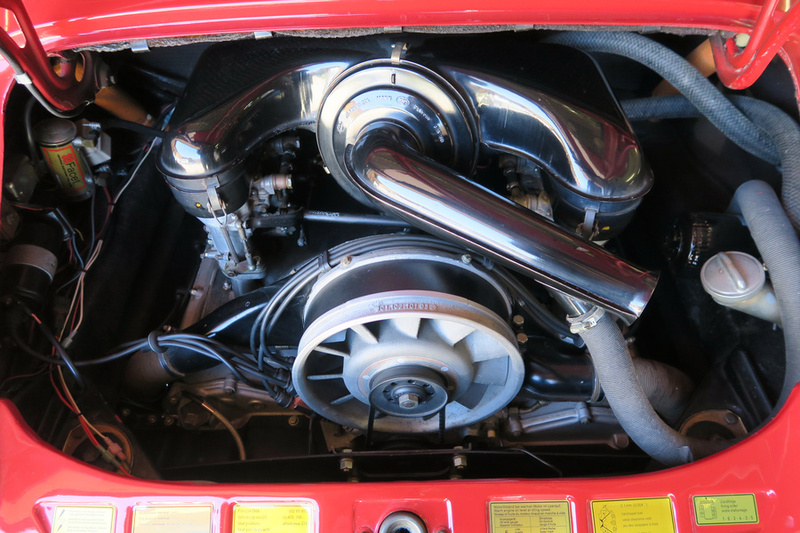 The complicated blind alley that was the 356 Carrera 2 four-cam two-liter four cylinder was no answer for mass-production. 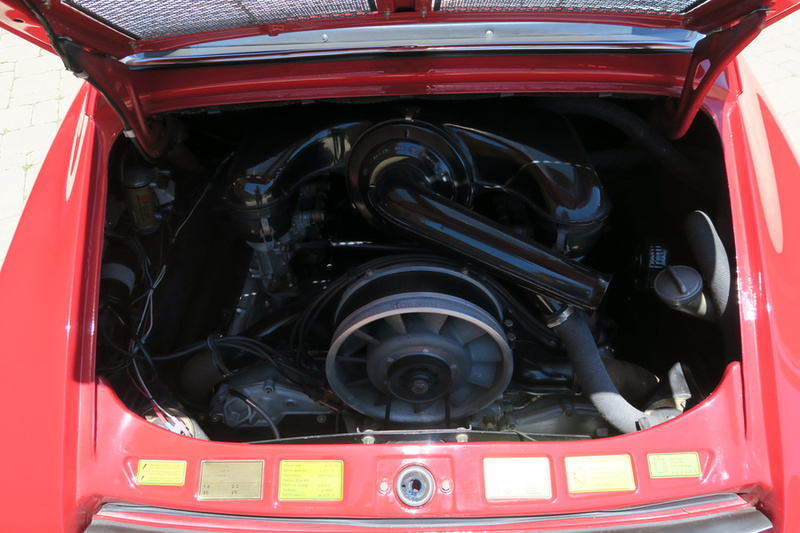 Under the internal type number 901, Porsche developed a completely new GT car that was evolutionary of the 356 but with better visibility, more shoulder room and an overhead cam 2.0 liter flat six-cylinder motor with about 40 more horsepower than a 356 Super. 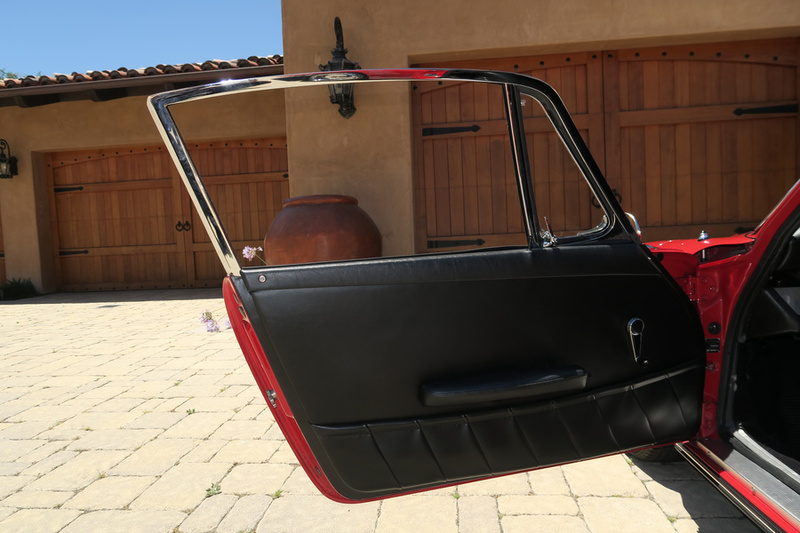 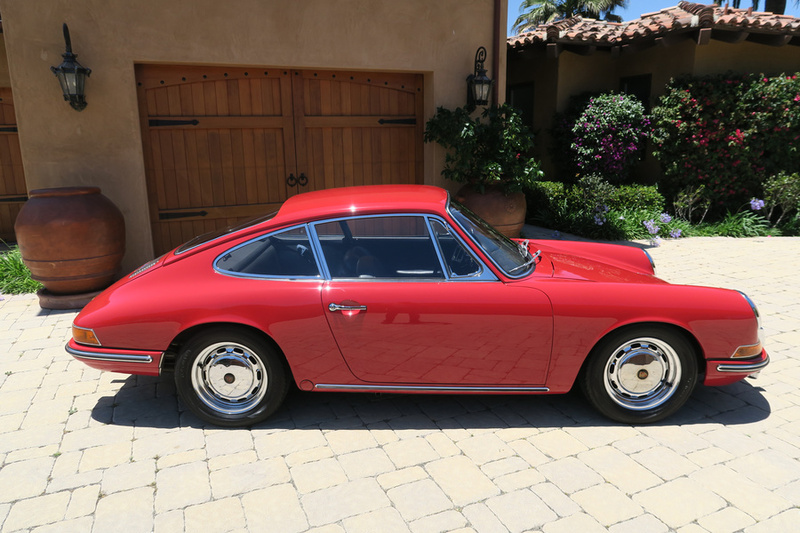 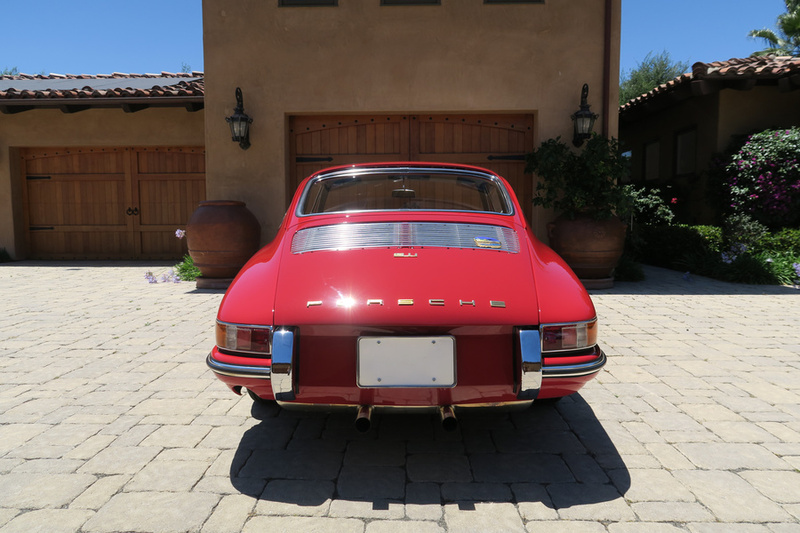 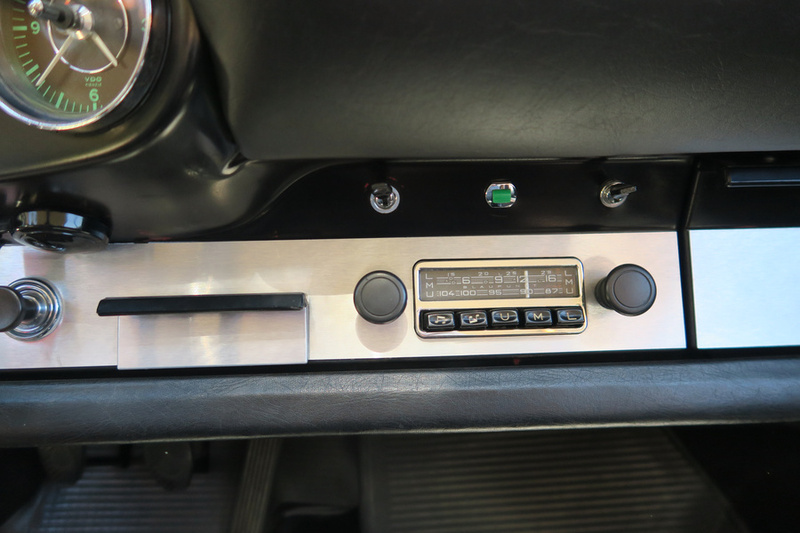 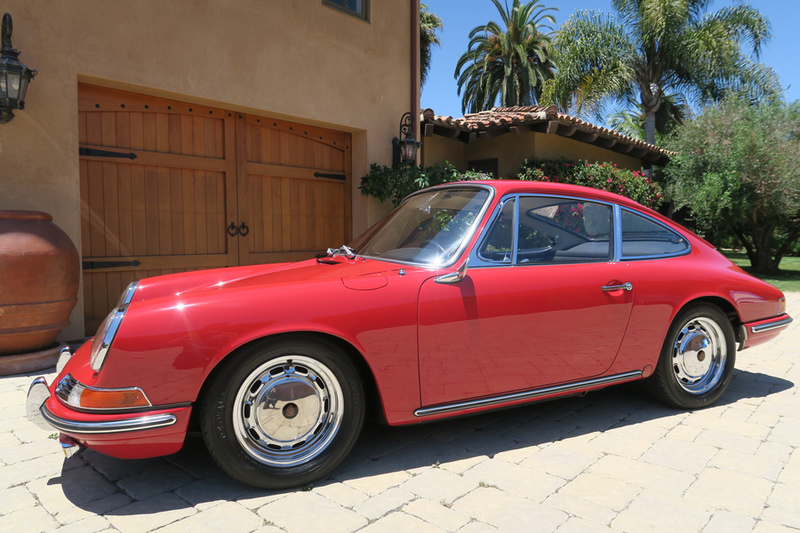 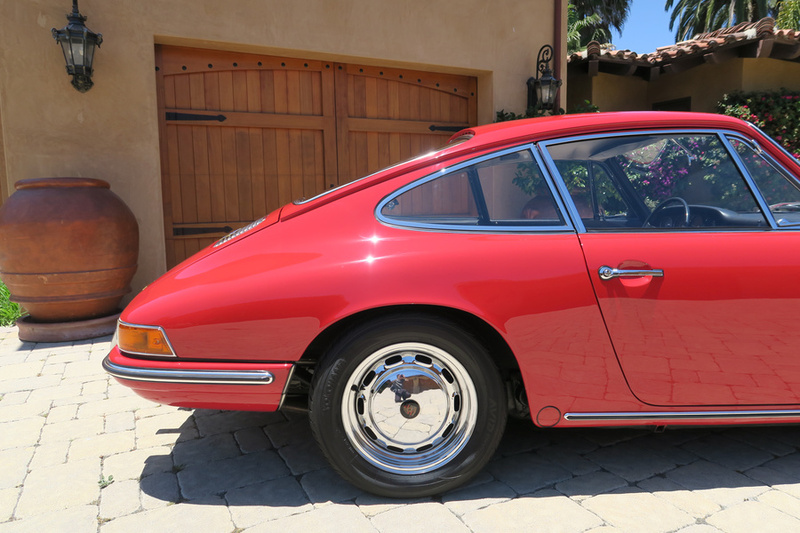 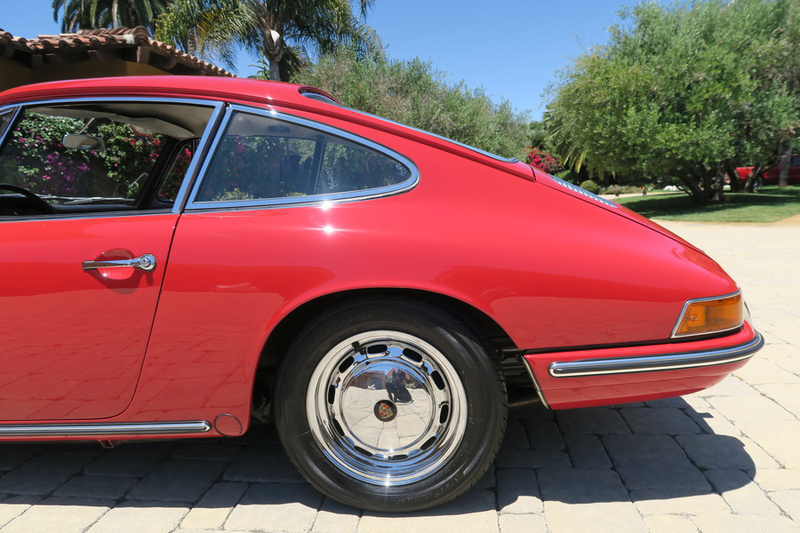 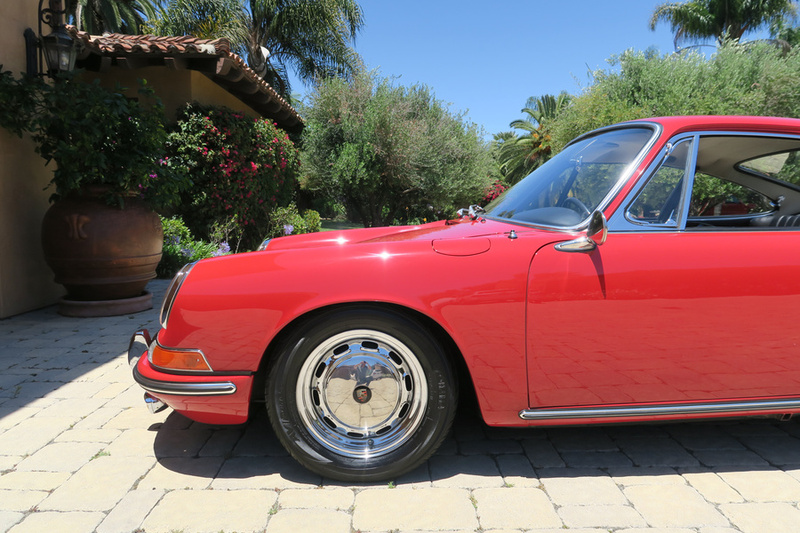 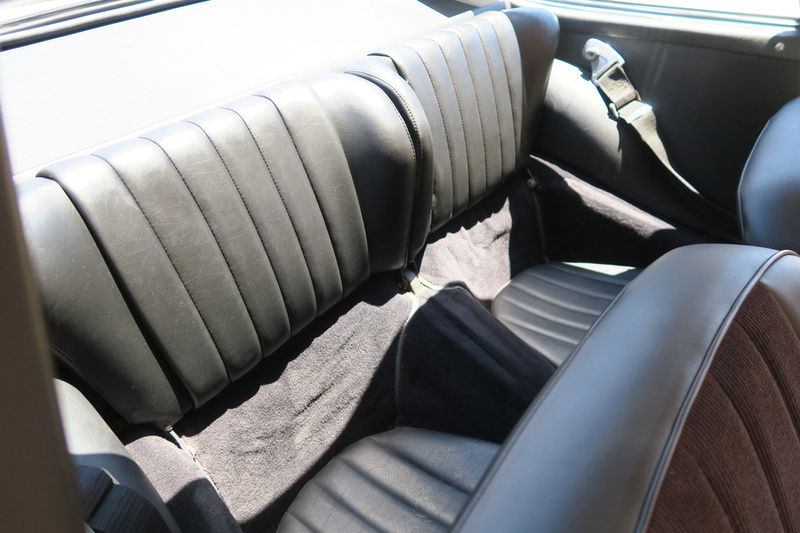 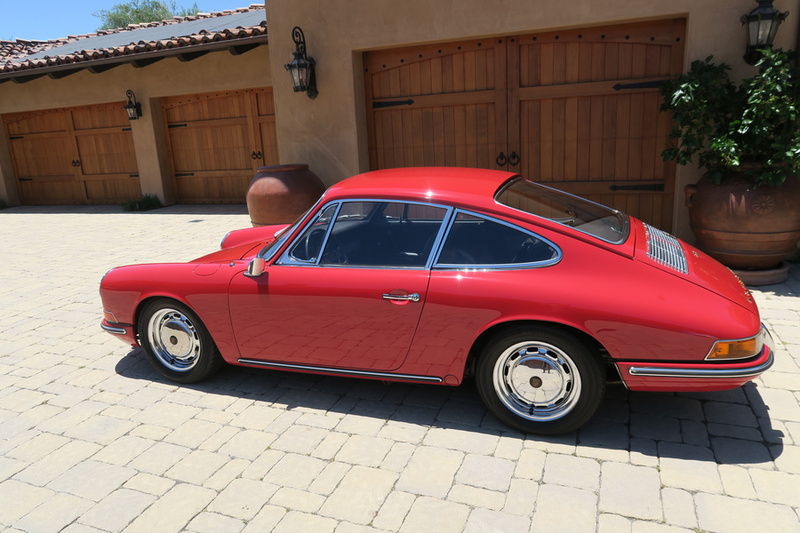 Early 911s had much of the vintage charm of a 356, including chrome trim inside and out. 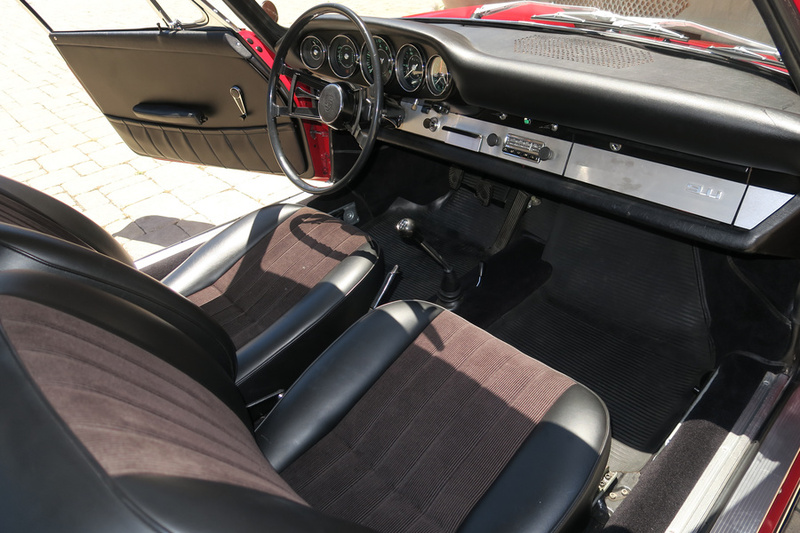 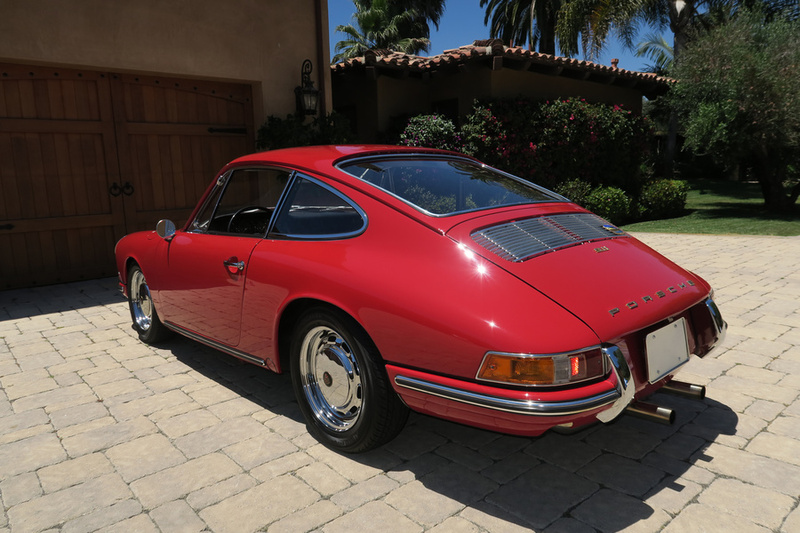 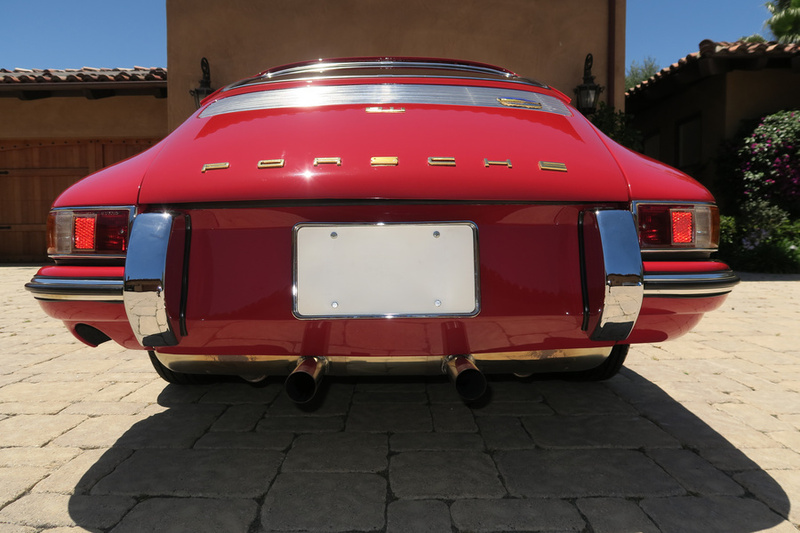 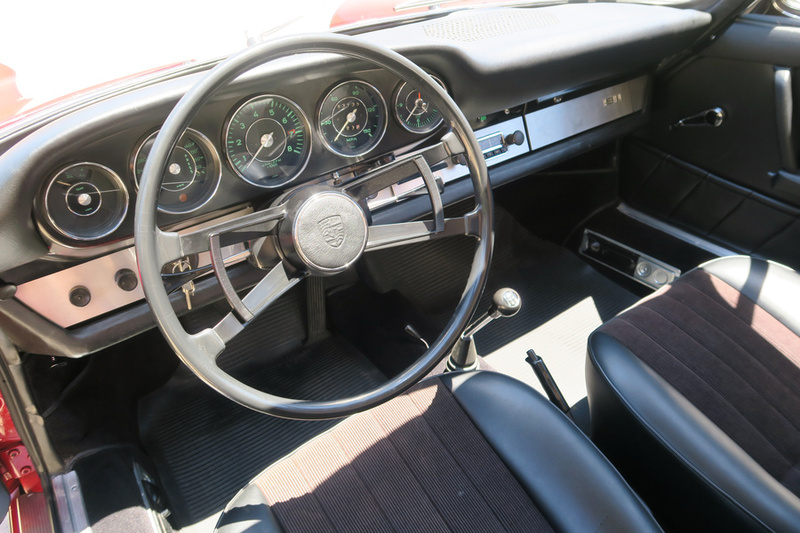 Initially offered only as a coupe, the Targa joined the 911 lineup in 1967 with either a glass or soft folding rear window and a rigid Targa bar. 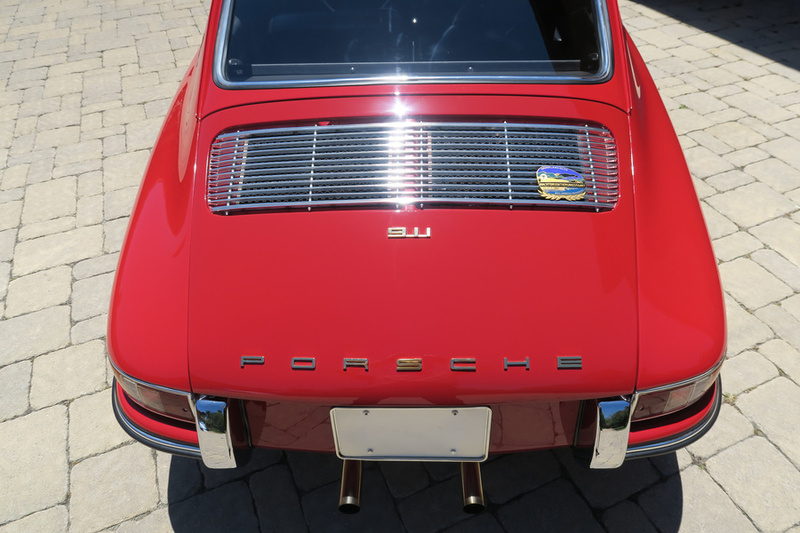 The 912 was built alongside the 911 until 1969. 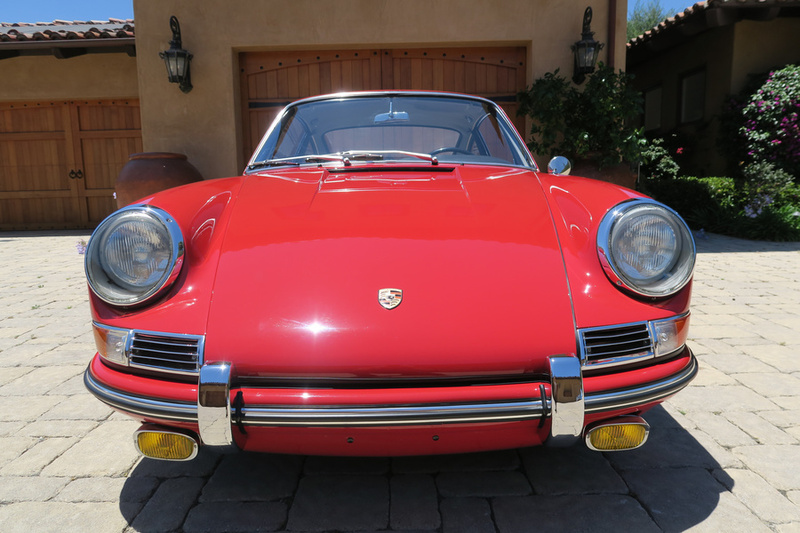 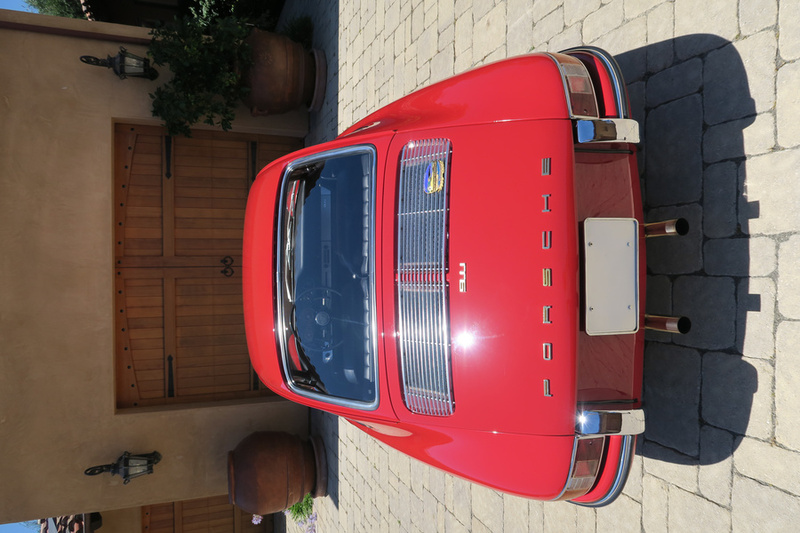 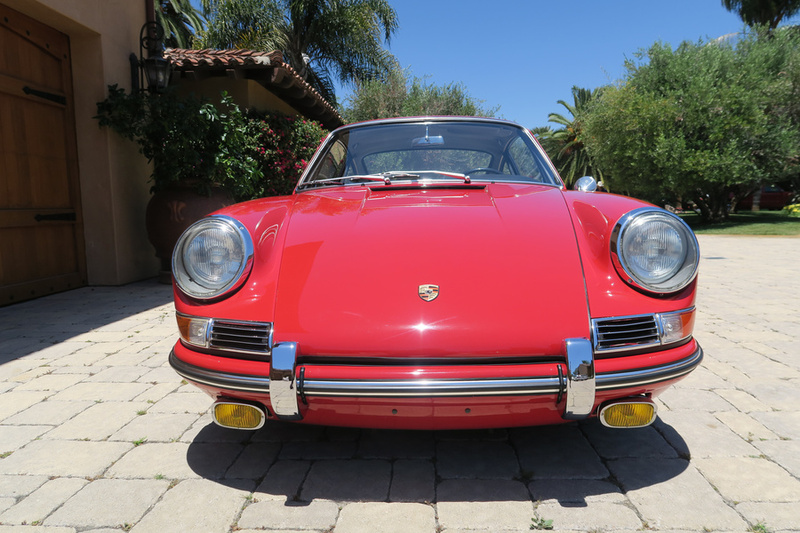 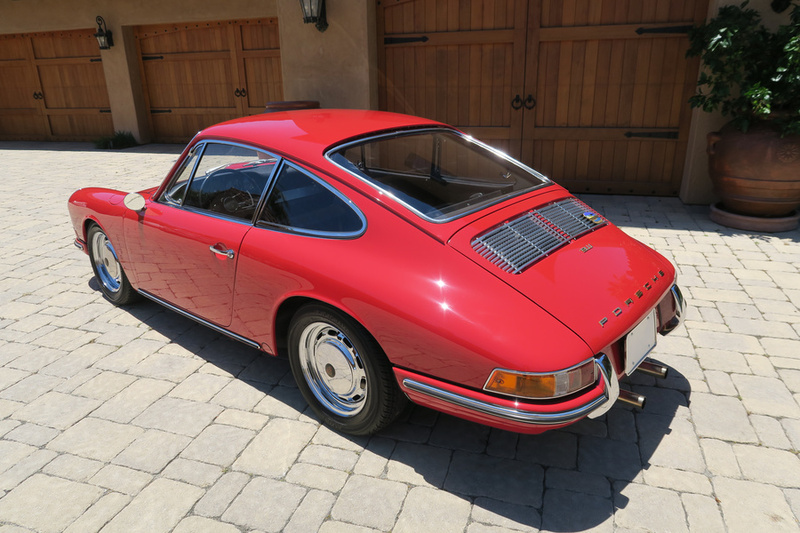 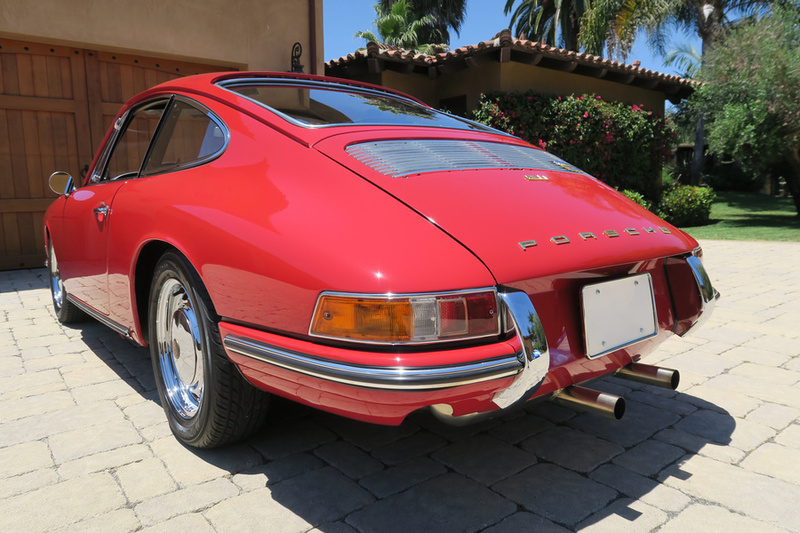 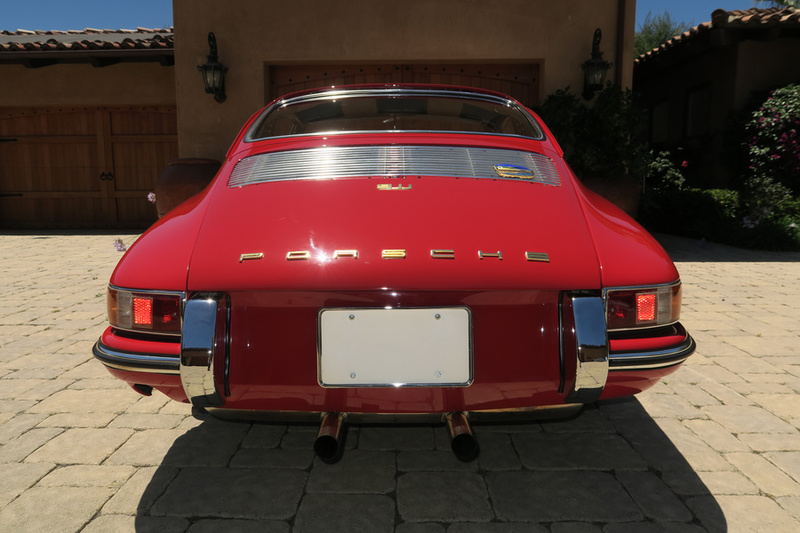 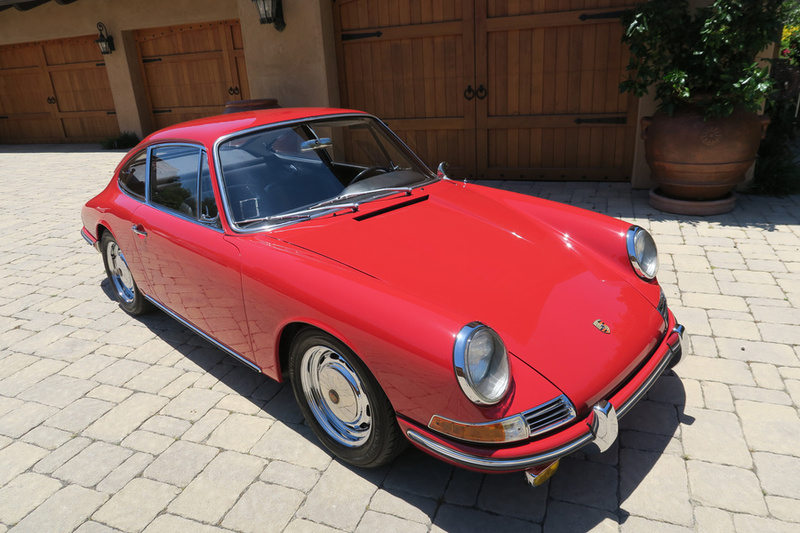 Any Porsche 911 and especially an early production example is expensive to restore. 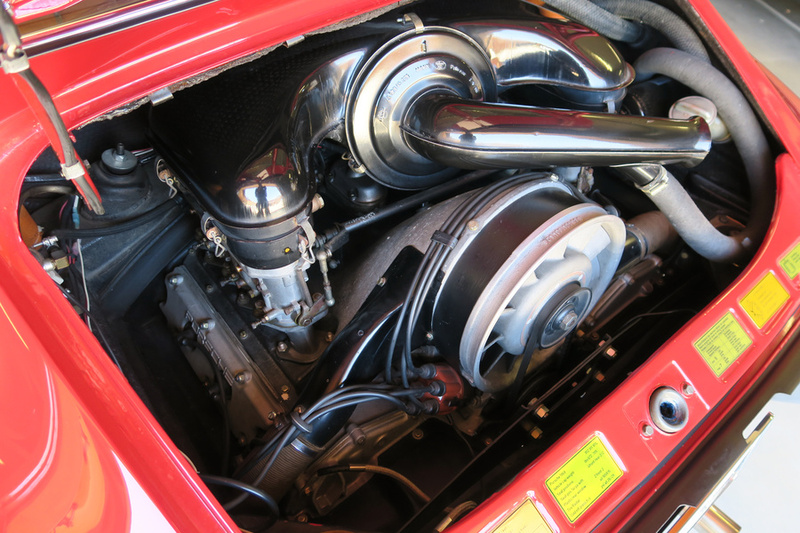 It’s best to consider sound, complete cars only. A Stunning Presentation of the Classic SWB Porsche 911. 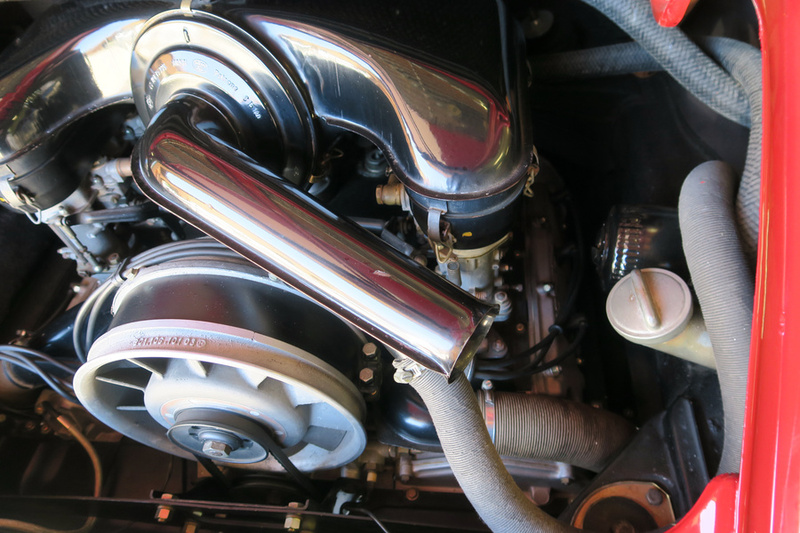 Well-Optioned and Retaining its Matching-Numbers Engine. 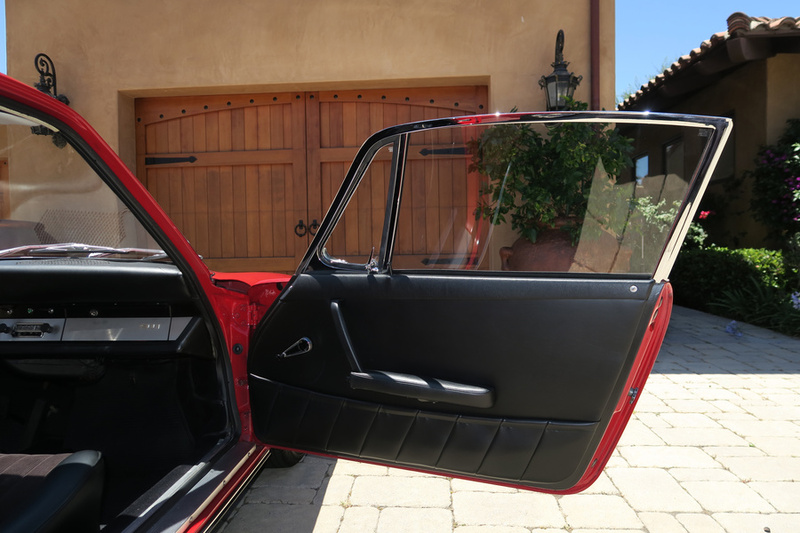 Finished in its original Polo Red exterior color. 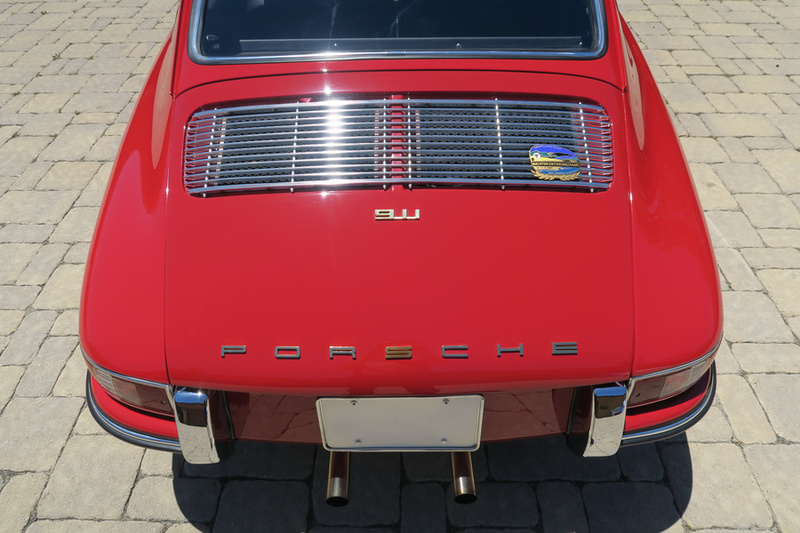 This is a Highly Authentic Example of the SWB 911. 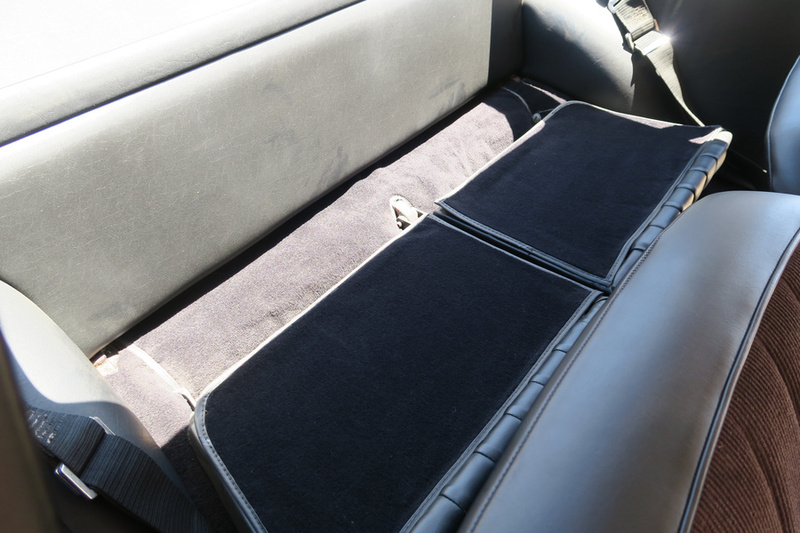 It has so much documentation that comes with the car. 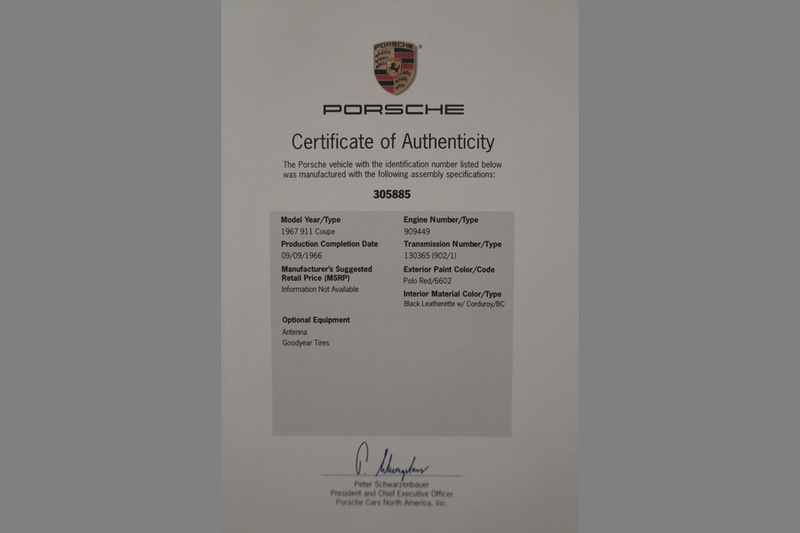 Photos of the documentation will be posted shortly.